Welcome back to the Community Update, folks! 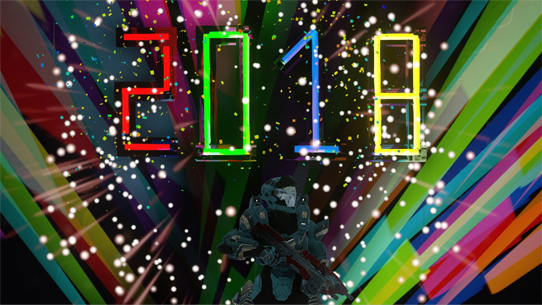 As per usual, the eldest of the GrimBrothers is here to take you on a whirlwind tour to recap the latest Halo happenings, and it’s certainly been quite a couple of weeks. We’ve had new game updates for both Halo 5 and Halo Wars 2, a couple of fun Livestreams, oh, and the most powerful console ever built hit the shelves this past Tuesday. You know, all normal ho-hum stuff. Of course, since you’re already here, we might as well recap some of the details, right? Let’s begin. This week, the Xbox One X hit store shelves and postal delivery routes, delivering in many ways some of the first truly “next-gen” gaming experiences to eager entertainment enthusiasts everywhere. It’s seen a ridiculous number of rousing endorsements, including from folks who were previously… unimpressed. Running through Sanghelios or adventuring across the Ark has never looked so good. I may have spent way, way too much time splashing around the water while the rest of Osiris just looked at me annoyed. On Tuesday we released a blog post recapping all the awesome ways that Halo is enhanced for Xbox One X, so if you’re thinking about jumping in, make sure you give it a read. Also, check out the awesome new trailer below. So yummy. 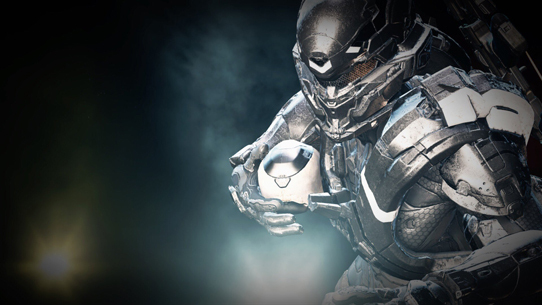 Last week, we may have had no Community Update, but we did have a content update, specifically the Overtime content release for Halo 5 that brought Oddball back into the fold in full force. The fan-favorite mode has rekindled no shortage of joy among players, a truth no more apparent than in our own cozy office area, where our beloved ske7ch can be found taking every opportunity available to sneak a game in. We’re pretty sure it’s his favorite thing now. In addition to Oddball, there are now a few new commendations to work on – particularly ones dealing with a few of the additions to the Halo 5 sandbox that some of last year’s content releases added to the game’s repertoire. To get the full Overtime overview, make sure you head over to its official landing page. In the (very) near future, you’ll notice some particularly substantial playlist adjustments in Halo 5. The impetus behind these adjustments stem from a desire to both streamline the playlist selection and improve overall matchmaking experience, as well as give players the opportunity to be part of testing out some of the potential new competitive settings slated to underpin the Halo World Championship 2018. Oddball will rotate out of Social (sorry ske7ch), and Anniversary Throwback will slide in to fill its spot with some classic-flavored fun. Jump in for some old school action on these exquisitely crafted Forge creations hand-crafted with loving care by members of the community. 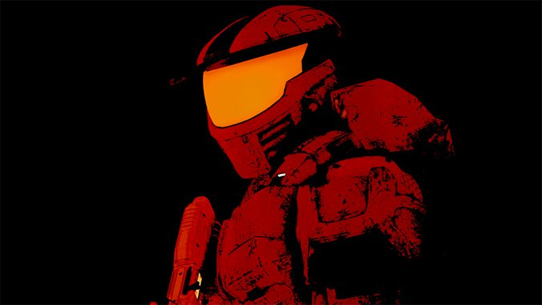 Play 4v4 Team Slayer and CTF on re-creations of six classic Halo: Combat Evolved Maps. The HCS playlist will transition into an HaloWC Oddball Preview playlist, featuring a slate of competitive Oddball maps. These playspaces will give players a chance to try out Oddball in a new way as a potential addition to the HCS and HaloWC lineup. HaloWC Oddball Preview will feature Battle Rifle and Gunfighter Magnum starts using current HCS settings, and will be initially tested on Plaza, Eden, Overgrowth, Empire, The Rig, Truth, and Mercy. There’s some neat things brewing under the matchmaking hood for some of these changes, and we grabbed 343’s Lead Engagement Designer Josh Menke to snag the skinny. GRIM: Hey Josh! So let’s start out with an obvious question on folks’ minds – is Oddball being added to the lineup for the Halo World Championship season? JOSH: That is the goal, but first we’ll need to get a ranked version out there for players to play and make sure it’s as competitive as we feel it should be. We’ll be listening to feedback and monitoring our own stats on the list and, if all goes as planned, we should see Oddball in Worlds. JOSH: When HaloWC Oddball Preview replaces HCS, your HCS rank will convert into your HaloWC Oddball Preview rank. GRIM: How will 343 measure and determine what, if any, Oddball maps/settings should be added to HaloWC? JOSH: We will be playing them, listening to community feedback, meeting directly with HCS teams for their feedback, and closely monitoring stats on the playlist and maps. What we are first looking for is to make sure none of the Oddball maps or settings are “broken.” By broken, I mean there shouldn’t exist a dominant strategy that, once executed, is impossible to break even if the teams are near even in skill. Once we have a set of good Oddball maps and settings, we can then determine which will be used this season, as well as which ones may come around in future seasons. GRIM: What’s the best way for players to share feedback regarding the Oddball test? JOSH: While we of course respect, love, and read from the many different Halo communities out there, the best official place is going to be the forums here on Halo Waypoint. We’ll setup an official feedback thread next week once the playlist is live. GRIM: Makes sense! When will we learn more about the overall settings (including any changes) for Halo World Championship 2018? JOSH: Once the Oddball playlist is out the door and that test is underway, our next priority will be looking at settings for the already existing HCS list. Between the weapon tuning changes, the settings the weapon changes influence, Oddball, and more, we have an opportunity to address the competitive community feedback that we freshen things up. We are also looking at polishing existing modes from recent feedback, including overtime rules, score limits, Fathom CTF, etc. At the same time, we will be working towards our longstanding goal of merging HCS and Team Arena into a single, healthier playlist. We’ll have more details soon, stay tuned. GRIM: Sounds good, thanks Josh! Typically – as you can see above – fans are used to hearing about competitive Halo from an HCS perspective. Last Monday however, there was a Halo esports event of a different flavor, and for a pretty awesome purpose too. As part of Microsoft’s Give campaign, the fine folks over at Redmond’s main campus saw fit to put on an awesome event that brought out the competitive spirit in employees across several different departments. 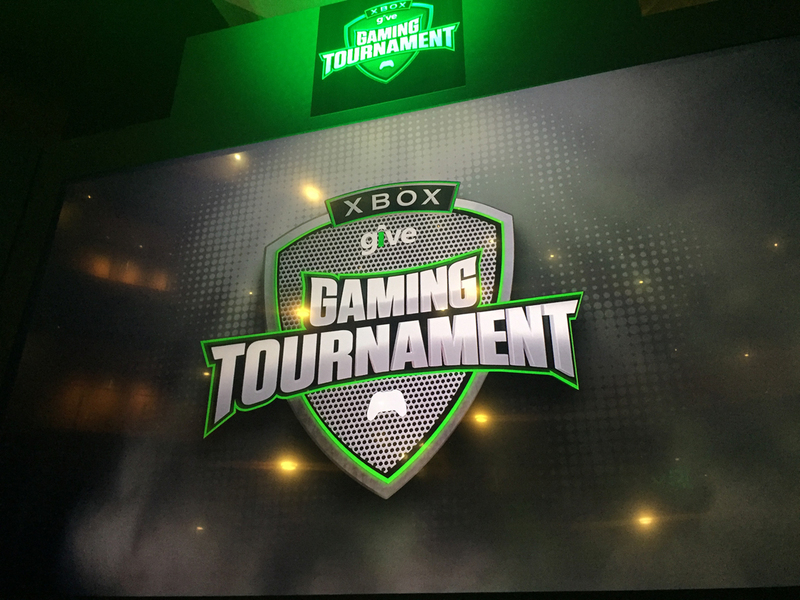 Featuring Halo 5 (FFA), Forza Motorsport 7, and Age of Empires: DE – and open to essentially all Microsoft employees – the Xbox Gaming Tournament inspired a throng of would-be esport champions to come out of the woodwork. 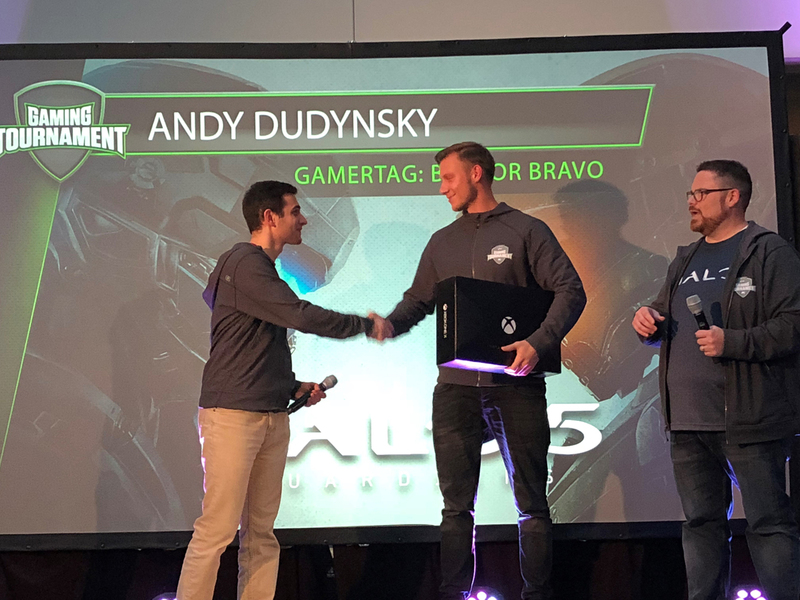 The Halo tournament itself featured some awesome competition, with several surprises emerging from unexpected areas, all eager to prove their qualities among their peers. 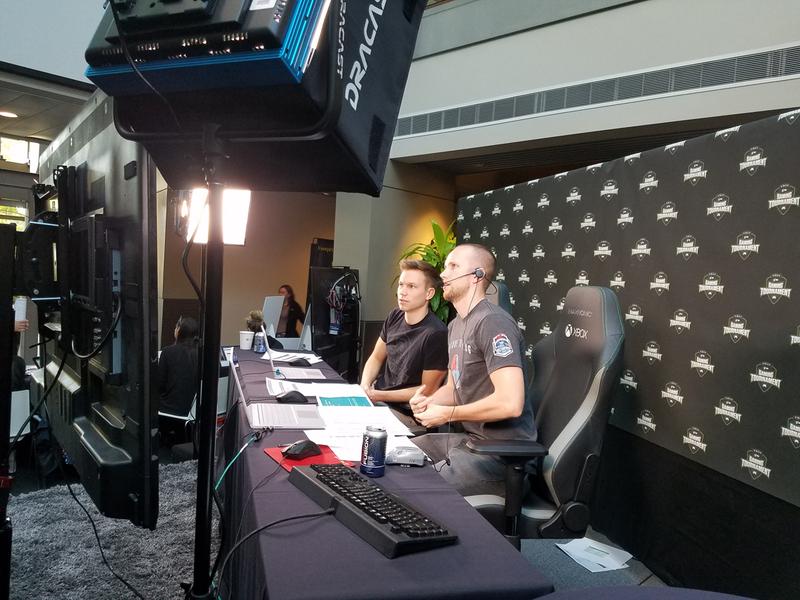 At the end of the day, the Top 8 would enter the Halo 5 FFA Finals and represented an eclectic range of professional backgrounds – from Azure engineers and Xbox Live social team to members of Microsoft’s marketing team. Among them, a solitary sentry emerged to defend our own studio’s honor – the one and only Andy “Bravo” Dudynsky. The format of the finals was set up so that the Top 8 would play two FFA matches, with the top two scorers from both games combined moving into an epic 1v1 Grand Final. In the second FFA match, Bravo sought to build off a solid podium finish in the first match but struggled to keep up in the early goings. However, with a spot in the Grand Finals on the line, Bravo turned in an inspired performance in the closing stages that included a Killing Spree and clutch Triple Kill to vault into the second spot in the literal final moments. His opponent in the Grand Finals would be dudeman27, yes, that dudeman27. Mr. 27 had dominated the two previous FFA finals matches, claiming the overall top spot in kills with relative ease. I’m not gonna lie, heading into the Grand Finals I was getting flashbacks of sitting with @Gh0stayame and @rukizzel in Benaroya Hall while Ace and Pistola make history in a similar fashion at the Halo 4 Global Championship. However, while Dudeman27 may have dominated the 8-player FFA rounds, he seemed to awake a sleeping giant at the most inopportune time. After falling behind quickly 2-0 Bravo turned the tables to take a lead of his own, and then played a masterful cat-and-mouse game to pad his advantage. In the end, Bravo would take the match 10-4, defending the honor of both Halo pros and 343 staff in a titanic display of talent between the two top competitors. Funny enough though, the real victory wouldn’t belong to Bravo. The real winners were the 150+ charity organizations that benefited from the tournament, which raised over $50,000 all on its own. It was an incredible event filled with food, fun, and furious competition, and was predominantly the brilliant brainchild of my good friend and colleague Jenn Panattoni from the Xbox team. I sat down with the talented and fantastic program manager to shoot the breeze, shoot some aliens, and grab her impressions on the overall event. GRIM: Hey Jenn! Thanks for chatting – first off, can you give us a quick overview of what this “Give” campaign thing is? JENN: The Give Campaign is this awesome annual event we have across Microsoft where events are thrown to encourage employees to donate to charitable organizations. I had the honour this year of being the Xbox VPAL (Vice President Appointed Lead, not Virtual-PAL like I previously thought), and my role was to come up with fun and exciting events to encourage Xbox employees to donate. 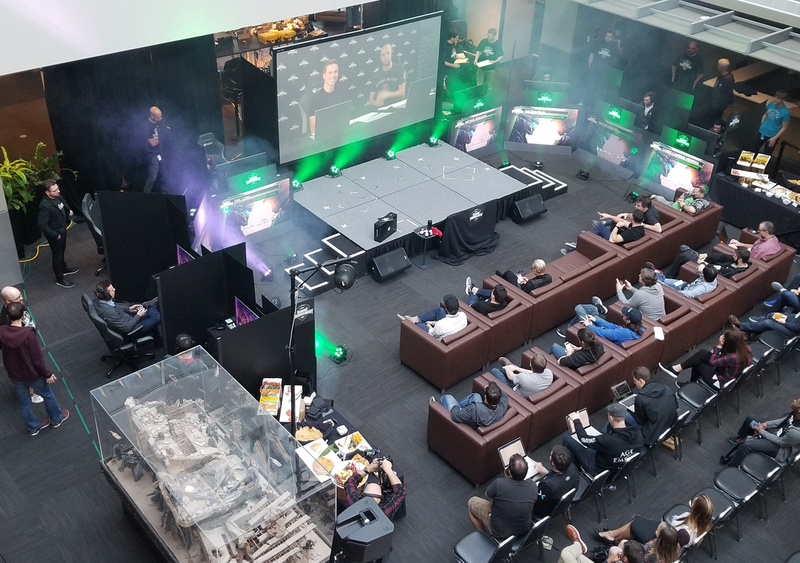 This year, Xbox decided that we were going to go big and throw a full-blown employee esports tournament in one of our studios. GRIM: And go big you did – it was awesome! So, let’s talk about the tournament; what can you tell fans about the overall goal and format? What games were there? JENN: The tournament was such an awesome event this year! So, we’ve always had a gaming tournament in some capacity; this was the fourth iteration of it, in fact. Usually it’s in one of our research labs, but in the spirit of the give campaign we decided that we could turn the entire production into a more “proper” event to raise money for charity. We had Age of Empires: Definitive Edition, Forza 7, and, of course, Halo 5. The goal was to quite simply to raise as much money as we could for some really awesome charities, and pretty much everything was donation-based (competing, spectating, etc.). GRIM: Now, as you mentioned, the tournament wasn’t necessarily the first of its kind, but this year it really seemed to take on a life of its own, huh? It felt almost like a more mainstream esports event in a lot of ways. Can you talk about some of the process – and challenges – of putting something like this together, especially with it having an employee-focus? JENN: Well this was my first experience of planning a tournament basically EVER. GRIM: Jenn, stop, it’s not nice to lie. GRIM: Well you could’ve fooled me. JENN: Pshh… needless to say, I learned a lot along the way. For example, that you’re not going to really get any chance to sleep until the whole thing is over with. GRIM: Oh man, HCS staff can attest to this. JENN: Right?! In all seriousness though, I loved seeing the passion and dedication from the entire team grow as the event developed. We decided we were going to throw an esports tournament with three weeks to the deadline (as professional program managers plan ahead for these things), and all of a sudden, we had this team of around 20 people show up to make this thing truly come to life. The event itself ended up being on a Monday, and we had everyone there over the entire weekend to make sure the setup and run-throughs were done. GRIM: Any moments of panic preceding the madness? JENN: I remember thinking to myself on Monday morning “this is way too calm, I must have forgotten so many things” over and over because it was way too peaceful. I even re-read “The Esports Playbook” that someone had given me, because I was wondering what was going to catch on fire and I wanted to try and be prepared for it. The success of the event highlighted to me how excited Xbox is as an organization about the future of esports. Probably the biggest challenge I had was not having any relevant event planning experience. Fortunately, there are teams across Xbox that I could leverage for their eports-specific expertise (eg. HCS and Forza Racing Championship teams) to help nail down some of the logistics of the event. Something else I learned is that Xbox employees are apparently a bunch of cheese connoisseurs – we were offering cheese plates with VIP seating and I can’t even count how many people told me they were so excited to be getting “fancy food” to have while spectating. Of course, the cheese plates will be back again next year. GRIM: No expense spared, obviously. JENN: It is for charity, after all. GRIM: So true, so true. Okay, so you have to have a favorite moment or moments from the event – care to name a few? JENN: Oh man, there are so many. Here’s a couple: During the Forza 7 tournament, the shoutcasters were covering the competitor who was leading the event. All of a sudden you see the “you’ve been signed out of Xbox” message. Turns out his wife had logged in from home! JENN: Poor guy. The coolest part of that entire thing was that all of the other racers pulled over when they heard that happen and restarted the race. Such good sportsmanship! (I mean, if it were up to me, I would have just zoomed right by him to the finish haha). GRIM: She’s not lying, folks. JENN: Again, it’s for charity! JENN: Shhh…. Anyway, another incredible moment was the Halo FFA, where the grand final was a 1v1 match between the top two competitors. Funny enough, the best part was the shoutcasting. GRIM: Shout out to our very own StrongSide and Unyshek! JENN: So good! Of course, they’re so used to casting for a team-setup for HCS, that they weren’t sure how to cover the game because they didn’t want to give too much away. GRIM: Well let’s be clear, Side apparently didn’t understand how to cover the game – Uny knew better than to call stuff out. GRIM: So, so good – my favorite line was Uny exclaiming “In my one day of casting, we have never seen anything like this.” Simply Exquisite. Alright Jenn, I suppose we should let you go and get back to your own building. Again, thanks so much for hanging out today – any last words you’d like to say about the event? Any thoughts on next year already? JENN: Well, Phil already asked me to head this up next year, and when Phil asks you to do something you do it. JENN: In all seriousness though, I loved working on the tournament and I’m super excited for what we can do to make it bigger and better next year. GRIM: Sounds great, talk to you then! Odd Experience – This weekend, Oddball will be keeping the 2XP crown, so get in there and crack some skulls! Or at least, keep them away from your opponents. ForgeHubiversary – We mentioned it a few weeks back, but this week, the awesome community creation corner cavaliers at ForgeHub are celebrating their tenth birthday! As a site – I assume they aren’t all children. Anyway, to celebrate, they are throwing a fun charity stream this weekend to benefit Extra Life. The stream will start on Nov. 11 at 1:00 PM (CST) and last for at least 12 hours, with the possibility for extension. Yours truly plans on popping in for a short time to join the festivities and help celebrate – you should too! Shining Bright – the first of our three new HCS team skin REQ Packs are now available, with Luminosity Gaming leading the charge! Founded in 2015, Luminosity have quickly solidified themselves as one of the preeminent esports organizations in the world. Since onto the Halo scene, Luminosity have fielded a top Halo team in each season, punctuated by a Top 6 placing at the Halo World Championship 2017 Finals. And with rising stars like Tripppey and Saiyan leading the way, this squad has its eyes set squarely on the next HaloWC, where they're poised to take it to the next level. The Luminosity Gaming REQ Pack includes weapon skins for the Halo 5 Magnum and Assault Rifle, as well as a Luminosity emblem. It costs is $9.99 and lets fans directly support their favorite Halo esports team(s)! Dressed to Shill – Speaking of special days, on Halloween – er, “Haloween” as I’m contractually obligated to call it – my desk mate and squad-slayer Uny and I got together for a fun Community Playdate where we streamed Infection, wore awesome costumes, battled notification onslaughts, and had a generally awesome fun time. If you missed the shenanigans, check it out below! 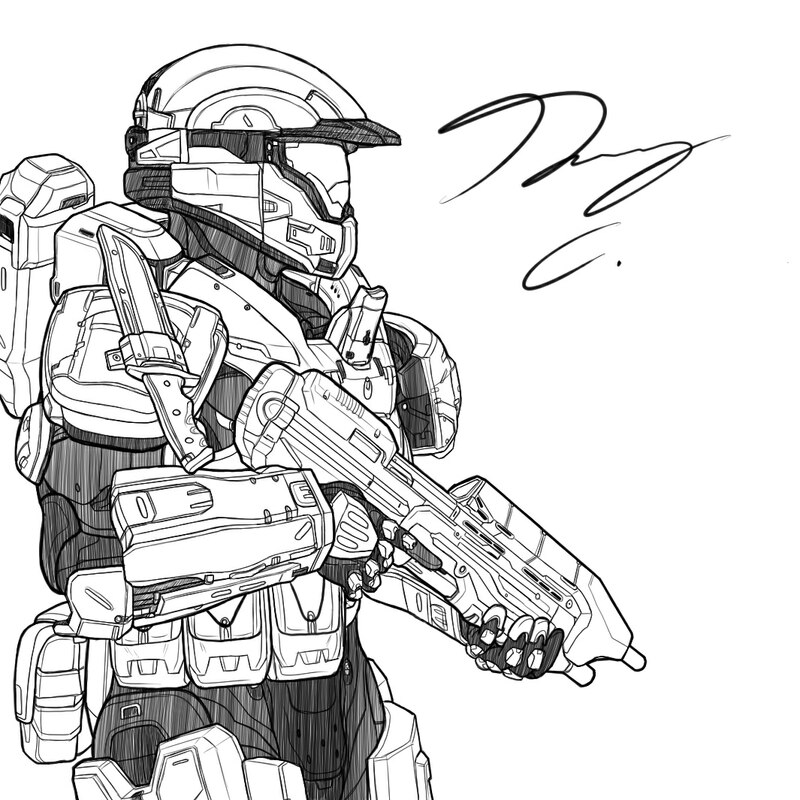 We’ve got a pretty crazy full slate of awesome community creations to get through today, starting with this incredible piece by goldenstallion on r/halo. It showcases Thel ‘Vadam shredding some Jiralhanae traitors and is just plain awesome (click for big version!). 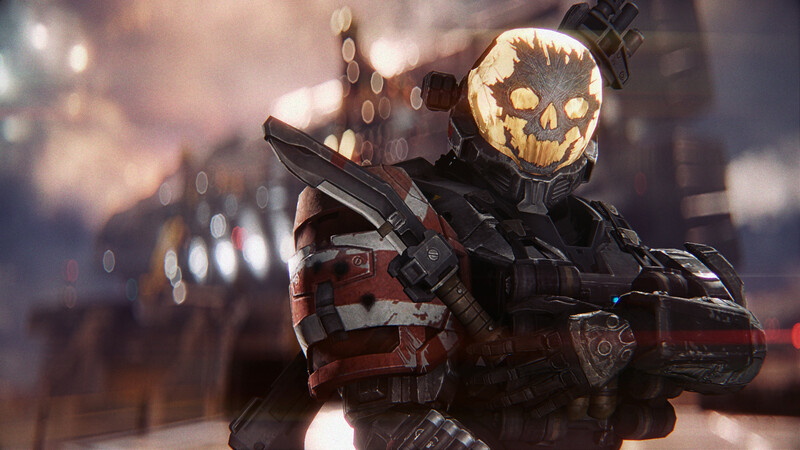 Artist Joshua Ezzell teamed up with MetalHeadSpartan and HaruspexOfHell to reimagine some incredible scenes from Halo: Reach using Valve Source Filmmaker and Adobe After Effects. Definitely check out Josh’s site at https://joshezzell.artstation.com/, but for now enjoy this slick Emile portrait. The folks over at The Templin Institute YouTube channel put together a really cool primer video on the UNSC and its history. Give it a watch! Senior Swanky put together a sweet Halo 5 montage called “Powerless.” It’s got some pretty nice plays and we thought it was rather cool – check it out! And now, a #HaloIRL moment of zen. 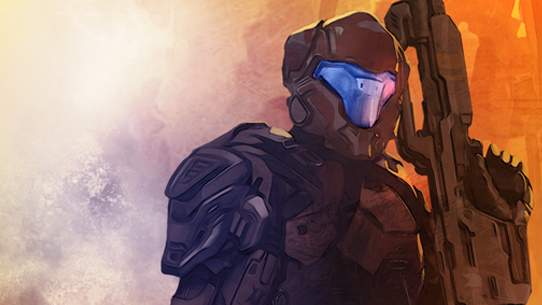 Next up, Victor Sales did this incredible painting of the Master Chief that we had to share. So good. And speaking of “so good,” check out this amazing commission piece by artist, community member, and Weta Workshop wizard, SpicyThai. The amazing art train keeps rolling with guyver89, who did a series of incredible sketches. You can check on of them out below and see the full lineup HERE. Trust us, we recommend you do. And now, some awesome screenshots. Phew! Well, that will do it for us today – hope you have a fantastic weekend with awesome games, no matter what system you’re playing them on. Until next time… Live well, play Halo, and special shout out to @CoreyJLees for helping me sort out some A/V issues this week!